9:42 a.m. Routt County Sheriff’s Office deputies were called about shots fired in a neighborhood west of town. It turned out to be a father and son training their hunting dog. 2:25 p.m. North Routt Fire Protection District firefighters assisted a driver who swerved off the road in the 51900 block of Routt County Road 129. The driver was unharmed. 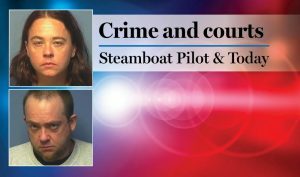 3:31 p.m. Steamboat Springs Police Department officers were called about a report of theft. A large number of tools went missing from a property in the 1000 block of Steamboat Boulevard. 3:58 p.m. Officers arrested a man on suspicion of possessing a controlled substance outside a business in the 800 block of Lincoln Avenue. 4:15 p.m. A caller complained to officers about several motorcycles speeding around roads near Steamboat Resort. 6:58 p.m. Deputies were called about a report of theft. A resident said about $100 worth of gardening tools had gone missing from their home in the 40400 block of Riverbend Trail. 9:29 p.m. Employees of a bar in the 900 block of Lincoln Avenue forced a drunken man to leave after he got too belligerent. 10:25 p.m. Officers arrested an intoxicated man after he caused a disturbance at a bar in the 600 block of Lincoln Avenue. Steamboat officers had 21 cases that included calls for service and officer-initiated incidents such as traffic stops. Steamboat Springs Fire Rescue firefighters responded to three calls for service. North Routt firefighters responded to one call for service.